Recently, I posted a few fingerpicking exercises to help develop your picking technique. If you haven’t already, you can check it out here. 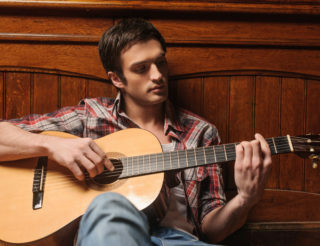 Think you’ve got the hang of basic fingerstyle now? Awesome! Keep practising. We’ll revisit that at a later date. For now, I’m going to focus on a few exercises that will help you develop basic proficiency with your right-hand picking technique. 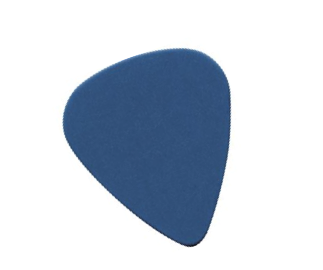 The pick can be a guitarist’s best friend at times. You’ve probably already seen one before. In fact, you might already own one or two of them. These exercises will require a pick. On the off chance you don’t have one yet, any guitar store you go to will surely have an abundance of picks (and at a decent price) to choose from. So head on down there and grab a few,then come back here and try out these exercises! Not sure how to hold it yet? Have a look at the diagram below. It might feel awkward to hold it like this at first but don’t worry. As long as you practise regularly enough it’ll feel natural within no time at all. So now that you’ve got the correct pick grip, I’m going to explain how to use what is perhaps one of the most common picking technique: Alternate picking. Alternate picking involves moving the pick a simple down/up pattern. 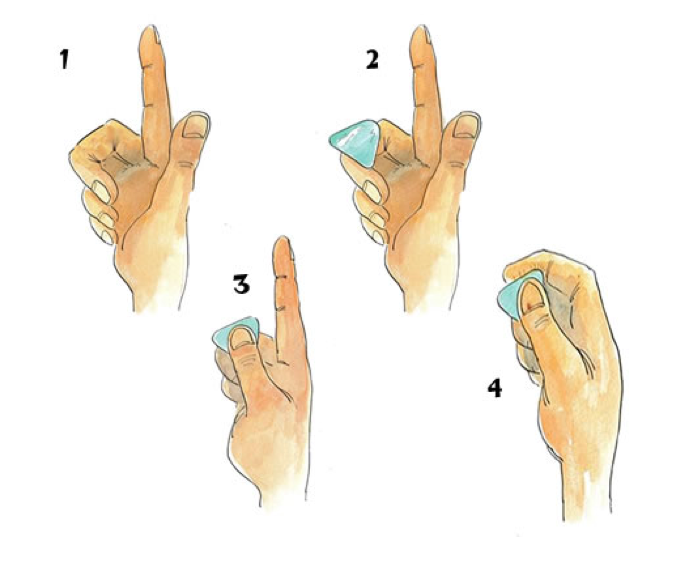 Alternate picking moves in a ∏V∏V (down, up, down, up) motion. To begin with, try to get the feel of this motion by simply striking down and up on your open E string until you feel comfortable. Now we’re going to look at some exercises that will help you coordinate this motion with your left-hand. One of the challenges you might face is accidentally striking down twice, instead of down, then up. Or, you might miss a downward strike and instead strike up twice in a row. This is a really important thing to fix now before you start using alternate picking in more technical songs or you’ll find that your pick might start to slip up and miss notes. I’d recommend starting out slowly (even if the exercise seems really basic) and making sure that you are consistently getting the motion correct. Before we begin, these exercises require knowledge of eighth notes and triplet rhythms. If you’re unsure of either of these things, watch the quick video below. (Eighth notes are at 0:26-0:30, Triplets are played from 0:30- 0:33). The A Minor Pentatonic scale is commonly used for improvisation. 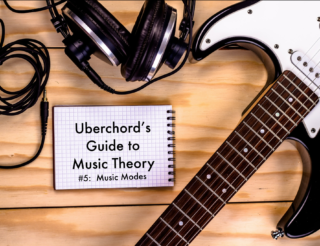 So, once you get the hang of how to pick it out, you’ll also be able to start exploring how to create your own melodies over simple chord progressions. To begin, use the exact downward/upward motion you practised on your E string. 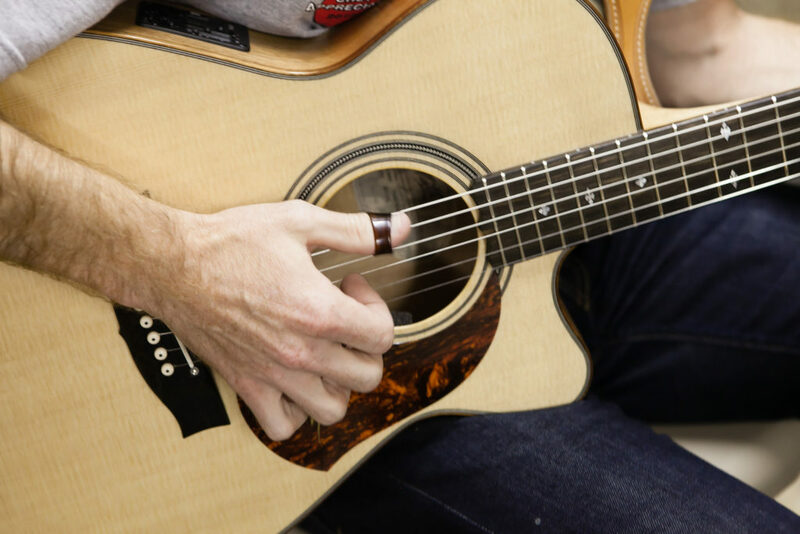 This time, your left hand will be playing two fretted notes per string, before moving up to the next string (your right hand will be alternate picking the strings along with it). Remember, you are starting on low E and ending on high E, then coming back to low E. Try practising one string at a time until you feel confident, then put it all together. If you’ve got a metronome, set it to about 60BPM* and aim to strike each note on time with each beat (click). If it seems too easy and you want more of a challenge, try and pick two notes per beat, just like the eighth notes you heard in the video. Your goal with this exercise is to be able to use alternate picking to play the A minor pentatonic proficiently. 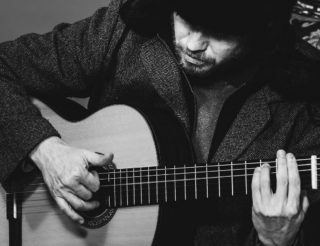 Proficiency doesn’t always involve speed, but you should at least aim to be comfortable enough to play the exercise from start to finish in a continuous, fluid manner. It might take some time so don’t stress if you don’t get it right away! Here’s a slight variation on the A Minor pentatonic scale. This exercise is more challenging so try to get a good grasp of the first one before you attempt this. You’ll notice that this exercise starts from the top on the high E string. This is what’s known as a descending variation on the A Minor Pentatonic scale. Again, just use the simple downward, upward motion. Set your metronome to about 50BPM*. Remember how that triplet rhythm sounded? This time you are playing three notes per beat as per the triplet rhythm. Your notes should have a waltz-like feel to them. *For both exercises, start at 50-60BPM and play on loop until you feel comfortable. Then, increase your metronome speed to 60-70BPM and again play until you get the hang of it. Continue to increase the metronome click by 10BPM each time you feel comfortable in order to build your speed and overall proficiency up. As soon as the metronome feels too fast to get your fingers around, you’ve probably reached your breaking point. I’d recommend going back about 30BPM from wherever you are and building up to that speed again and again until you manage to push past your breaking point. This is a really great habit to get into if you want to develop consistency in your playing. No Practise = No Progress. Guitar isn’t always easy, but don’t give up. Whatever the exercise, however hard it may seem, practise is the only way you’ll ever improve on it. Trust me, it’ll all feel great in the end! Ready to move on already? Check out some more advanced alternate picking exercises below!